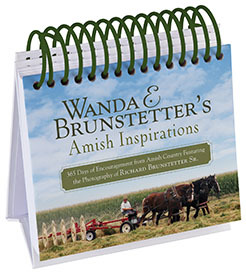 Start your day off right—every day of the year—with a perpetual calendar. 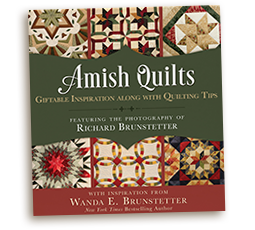 With Amish Inspirations, find yourself transported every day to the heart of Amish country with photography by Richard Brunstetter plus inspiration from New York Times bestselling author, Wanda E. Brunstetter. 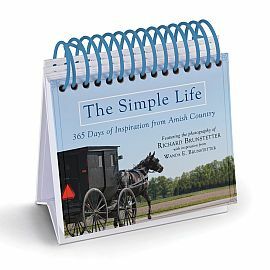 I took the pictures for this book so that people who aren't able to visit Amish Country would get a glimpse of what Amish life is all about and be able to see what my wife and I see when we visit our Amish friends. 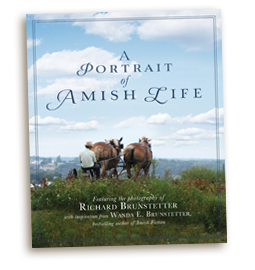 I also wanted people who have traveled to Amish Country to enjoy photos that would bring back memories of their visit.